The Little Black Gallery is London’s boutique photography gallery specialising in contemporary photography from around the world. 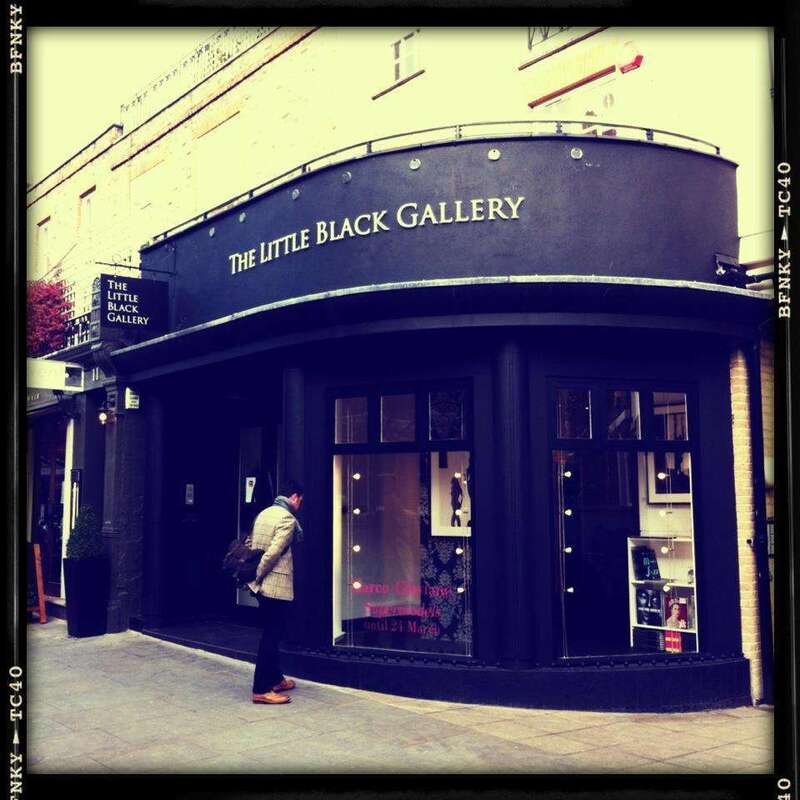 The Little Black Gallery was set up by Tamara Beckwith Veroni, Lindsey Carlos Clarke and Ghislain Pascal in November 2008. It is also home to the Estate of Bob Carlos Clarke and has a permanent room of work by the legendary photographer. Today the gallery is co-owned by Tamara Beckwith Veroni and Ghislain Pascal. Tamara Beckwith Veroni is a celebrity who appears regularly on TV and in the press. She was one of the dealers on Channel 4’s ‘Four Rooms’, and is a Contributing Writer for Hello Magazine. She is involved with several businesses including events company GSP where she is New Business Director. She is a collector of photography. Ghislain Pascal was a celebrity agent and publicist – including being the agent to the legendary photographer Bob Carlos Clarke. Following the death of Bob Carlos Clarke, he now manages The Estate of Bob Carlos Clarke. He also works with Survival International – the global movement for tribal peoples’ rights. Max Houghton, Senior Lecturer in Photography at the London College of Communication, is the Editorial Consultant for The Little Black Gallery. A former co-editor of Foto8 Magazine, she now writes regularly about photography for the international press including FOAM, Black & White Magazine and The Telegraph. She also conducts public talks and lectures on photography and curates exhibitions worldwide. Patrick Lichfield (1939-2005) was an internationally renowned photographer who worked for all the major fashion magazines. His pictures were exhibited worldwide, and he published several books during his career, with a retrospective 'Perceptions' published by Quadrille in 2012 . The National Portrait Gallery dedicated an exhibition to the first twenty years of his work in 2002. His great break was when he was summoned by Diana Vreeland, the doyenne of fashion editors, to photograph the Duke and Duchess of Windsor, and he was given a five year contract with American Vogue. In 1981 he was appointed official photographer at the wedding of his cousin The Prince of Wales and Lady Diana Spencer. The Little Black Gallery is proud to work with the The Estate of Patrick Lichfield to continue to promote his photographs.